BlackBerry has announced its Board of Directors have formed a special committee “to explore strategic alternatives to enhance value and increase scale in order to accelerate BlackBerry 10 deployment.” The company explains this could mean possible joint ventures, strategic partnerships or alliances, a sale of the Company or other possible transactions. The Special Committee of the Board comprises of CEO Thorsten Heins, Barbara Stymiest, Richard Lynch and Bert Nordberg, and will be chaired by Timothy Dattels. Prem Watsa, Chairman and CEO of Fairfax Financial, the largest BlackBerry shareholder, announced his resignation to avoid potential conflicts of interests and also how they have no intention of selling its shares. The company’s 2013 Q1 quarterly earnings resulted in a net loss of $84 million and 4 million lost subscribers. It was also announced PlayBooks would not get BlackBerry 10. 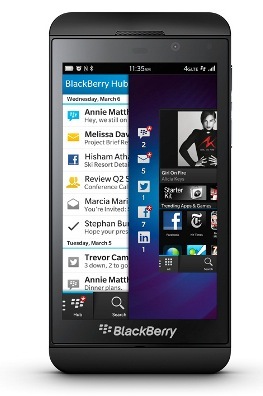 Sales of BlackBerry 10 smartphones just barely met the low end estimates from analysts. The company has promised BBM for iOS to arrive sometime this summer. Is Canada’s ‘tech darling’ doomed? Who do you think will want to acquire the company? Again, it looks like it’s another case of too little, too late, for the Waterloo-based company.